The season is upon us. 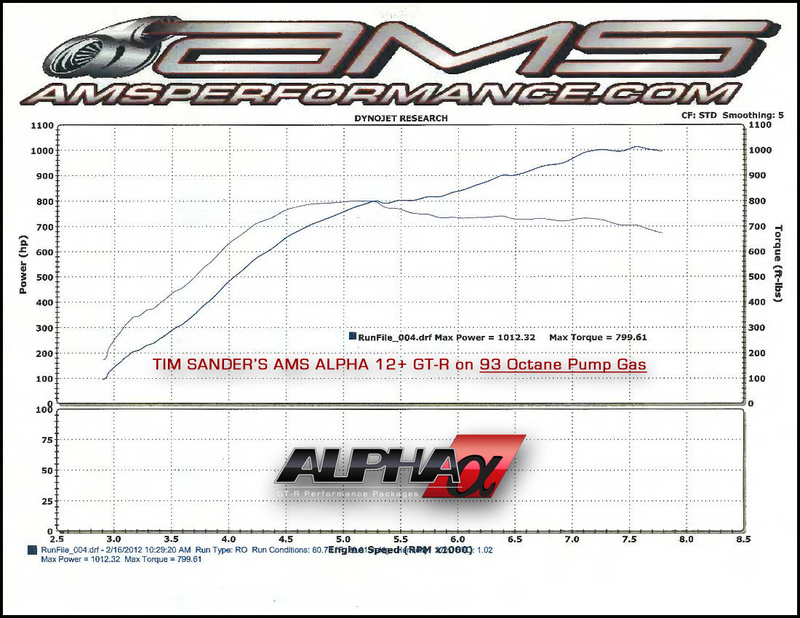 The first shot fired this year in the AMS vs Switzer battle was 927 AWHP by the Switzer Ultimate Street GT-R. Now AMS fires back with an Alpha 12. This particular Alpha 12 is a beast, with over 1265 AWHP on C16, spinning the tires on the dyno. This car is about 2.5 times as powerful as a stock car, on the same 93 octane fuel a stock car can use. Now we just need to be able to get something other than our 91 octane fuel, that we see in California. It should still be able to do in the 900hp range on 91.